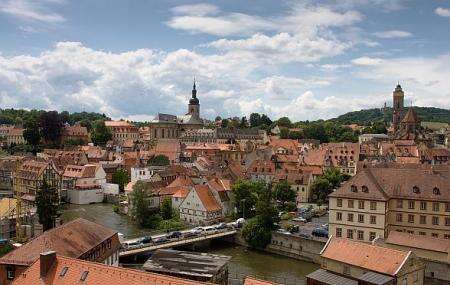 Bamberg Altstadt is the Old Town area in the city of Bamberg which served as a crucial link with the Poland and Pomerania Slav people. The old town is replete with exquisite architectural structures, shops, magnificent historic buildings, palaces, market area, walking streets, cafes and more. The Altstadt is very well maintained and is a truly recommended attraction in the city of Bamberg. The old village is a 15 minute walk from the railway station. The river cruise is recommended to enhance your experience in this area. How popular is Bamberg Altstadt? People normally club together Sonnentempel Im Hain and St Michael's Monastery while planning their visit to Bamberg Altstadt.